Choosing the right appliances is an integral part of designing your kitchen space. Consideration for functionality, durability, ease of cleaning and layout are important factors in your design process. The information provided in this section will assist you to choose appliances that are right for your project. Come in and visit our showroom where we have a large range of appliances on display. There is a great range of cooktops available offering a wide choice of style and design features. Induction cooktops work by producing an electromagnetic field rather than a flame or fumes. This makes induction cooktops an excellent option for families with children, as the plates are cool to the touch. 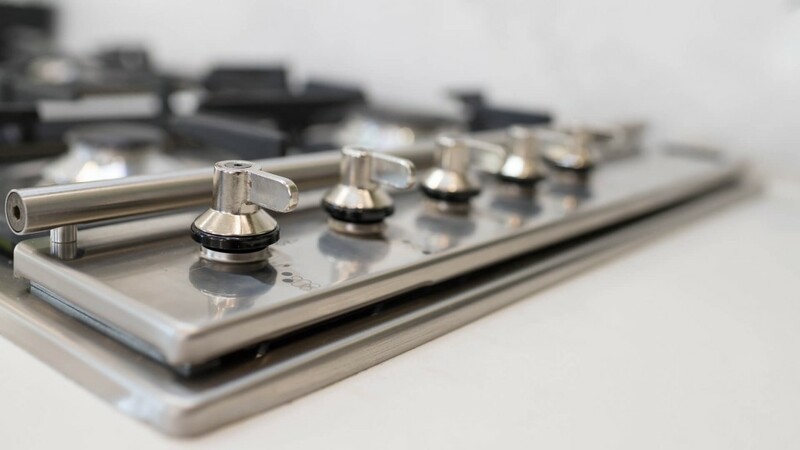 While induction cooktops require special cookware and can be noisy to use, they can save energy by turning off when nothing is on the cooktop. They are also fast to heat up and change temperature, making them a convenient and time-efficient option. Ceramic glass cooktops are a very efficient and stylish option. They are easy to clean, quick to cool down when not in use and require no special cookware. However, they are easily scratched or broken and require electricity to work, rather than flames or fumes. Electric cooktops do not require any special cookware and are very durable. However, the exposed coils mean that they can let off smoke or spark if food is left on them, and they aren’t especially energy efficient or stylish. Gas cooktops respond quickly to temperature changes and require no special cookware to be used. While they do not use electricity, they create less heat than other options and have poorer heat distribution. Also, the open flames, fumes and possible gas leaks may pose risks to members of the household. Ovens come in many different styles and can even be a centrepiece of your kitchen. Induction cooktops work by producing an electromagnetic field rather than a flame or fumes. Induction cooktops an excellent option for families with children, as the plates are cool to the touch. While induction cooktops require compatible cookware and can be noisy to use, they can save energy by turning off when nothing is on the cooktop. They are also fast to heat up and change temperature, making them a convenient and time-efficient option. There are 2 kinds of built-in ovens: under bench ovens and oven towers. Oven towers are great for ergonomics, as the height of the oven can be changed to suit different heights. Under bench ovens are can be a nuisance for some as they are very low to the ground. Rangehoods are a functional and stylish addition to your kitchen. Installed above your stove or cooktop, they remove grease, fumes, smoke, heat and steam from the air. 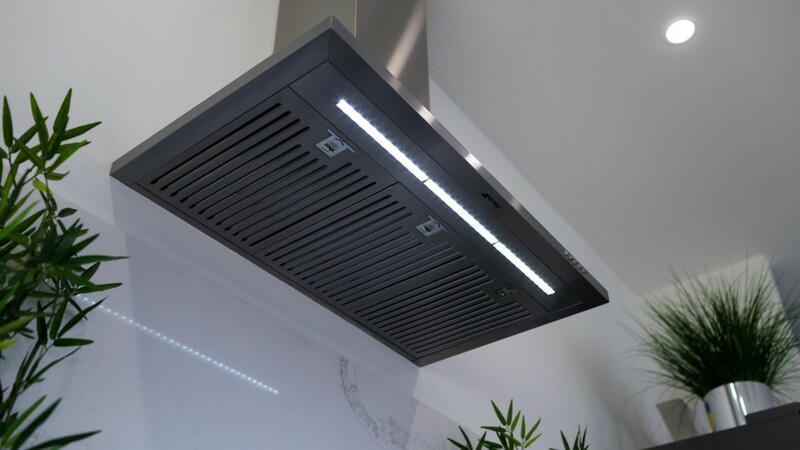 A ducted rangehood is installed with ducting that runs from the rangehood to the outside of a building. Ducted rangehoods offer the best performance and are better for getting rid of humidity and steam from cooking. However, there are restrictions on where it can be installed because it requires ducting to the exterior. A Recirculating rangehood does not have any ducting attached to it and does not move the air outside. It works by passing the air through a filter and then releasing the air back into the room. These are generally used in places with no external access. Recirculating rangehoods are usually cheaper than ducted range hoods and are more versatile. They can be installed anywhere and have a more straightforward installation process; however, they are not as efficient at reducing humidity as other options. 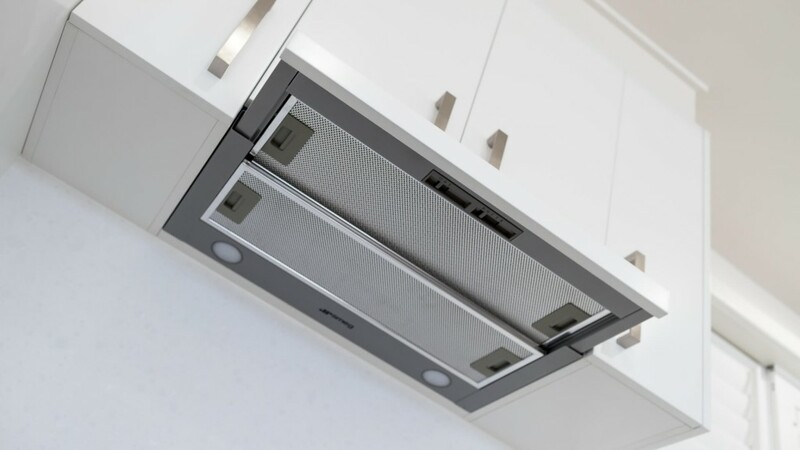 They are also generally louder than other range hoods and require more fan power. Canopy rangehoods are more powerful than other rangehoods. They are generally used in bigger kitchens or kitchens the require strong air filtration. They can be mounted to the wall or above an island bench. They can have decorative panelling on them and can be a feature of a big kitchen. Slide out rangehoods are installed beneath an overhead cupboard in a kitchen. It simply slides out and turns on whenever you need to use it. Slide out rangehoods are small enough to not disrupt the look of the kitchen as it will fit into the line of the overhead cupboards in a kitchen. They are great for small kitchens. Undermount rangehoods are installed beneath an overhead cupboard in a kitchen. Once installed, undermount rangehood is hidden from view with the controls on the underside of the cabinetry. They are smaller and concealed but still provide strong suction and filtration. It does not interfere with the look of the kitchen. They are very quiet to operate and often provide excellent lighting. 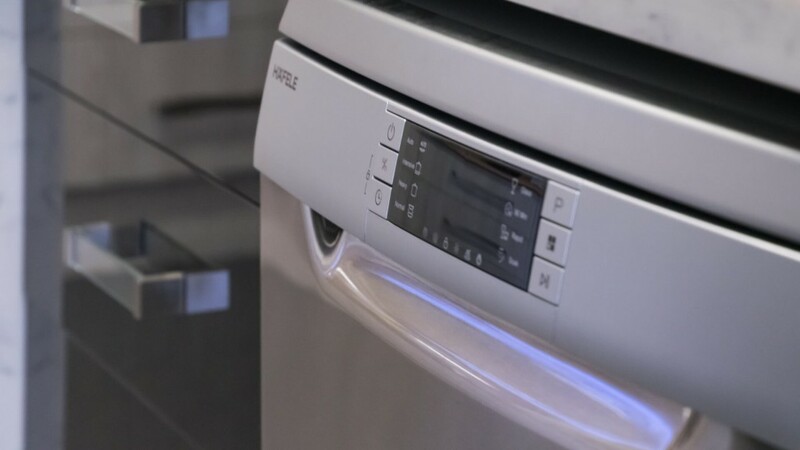 In choosing a dishwasher for your home, it is important to consider how many people are in the household and the energy and water ratings of the dishwasher. A standard dishwasher will be installed under your kitchen bench, usually near the sink. They are perfect for a household of 4. They are usually 60cm wide and will fit under most kitchen benches. There are also slimline variations that are suited to smaller households. There are 2 kinds of integrated dishwashers: semi integrated and fully integrated. They are both installed in the kitchen with a panel fitted to the front of the appliance that matched the rest of the kitchen. The only difference between these 2 is that a semi-integrated dishwasher has exposed controls, whereas fully integrated dishwashers have controls on the inside. Dishwasher drawers are great for small households or if you want to be able to run 2 separate cycles at a time. Dishwasher drawers are available as built units as well as single units that sit on your kitchen benchtop.